Radio with Bluetooth connectivity, USB and aux-in port. Bluetooth connectivity to handle phone calls and incoming SMS text messages, listen to music and radio stations in streaming directly from your mobile phone, without taking your hands off the wheel. built-in CD and MP3 player, and steering wheel controls. All the radios are also available in DAB (Digital Audio Broadcasting) version and they are compatible with the majority of multimedia file formats. 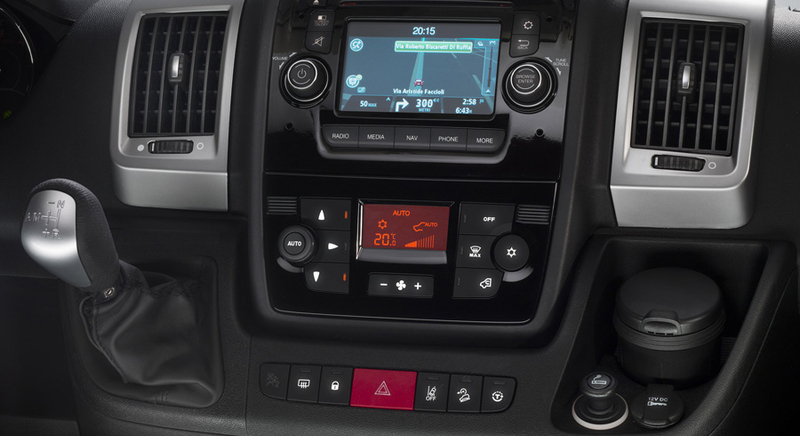 Developed with the collaboration of TomTom, it includes all the features of the Uconnect Radio incorporated with the satellite navigation function, which can be accessed via an intuitive, exhaustive and effective navigation interface. The pre-loaded maps include millions of places of interest. The system includes iq-routes and up-to-date traffic information thanks to the built-in TMC receiver. The many different functions are easy to manage, without ever having to take your hands off the wheel. 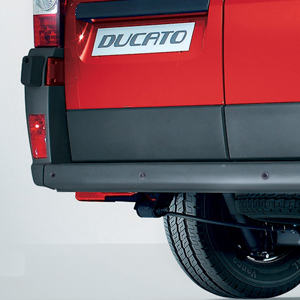 The New Ducato means always driving with maximum safety and performance. Indeed, it features the most sophisticated control technologies, which can be operated from the passenger compartment in simply and quickly. All vehicles come with power steering as standard, for easier parking. Available as standard on the 130-150-180 MultiJet is Servotronic, the variable steering booster which reduces the effort required to turn the wheel by almost half compared with a standard hydraulic power steering system, and guarantees maximum driving precision at high speeds. The Cruise Control system makes it possible to drive the vehicle at your desired speed without using the accelerator pedal. Ideal for long motorway trips. It can be automatically deactivated by using the brake or the clutch or by pressing the relevant button. The Speed Limiter prevents you from exceeding the selected speed involuntarily (only available on the 130 HP and 150 HP 2.3 litre engines). 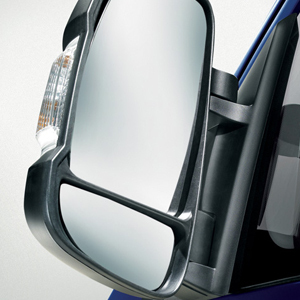 Ideal to concentrate on your driving and avoid exceeding the speed limit in complete safety. The speed setting may be altered by operating the left steering wheel stalk. can be activated up to 30 km/h and only where necessary, using a special button. This allows you to tackle downhill driving with a slope of up to 50% while travelling at the set speed without operating the brake or accelerator, so you can concentrate on the driving alone. A new, additional support for the ESC, to guarantee vehicle stability even in situations where the risk of rollover is greater when the vehicle’s centre of gravity is particularly high due to the load, or in the case of excessive lateral traction. Hill Holder, invaluable for hill starts, which extends the braking pressure when the brake pedal is released to prevent the vehicle from slipping backwards, making the manoeuvre much easier. HBA: Hydraulic Brake Assistance, which increases the braking force during an emergency brake. The driving assistance system designed to determine whether the van is changing lane, even in low-visibility weather conditions. It is activated when the vehicle exceeds 60 km/h and in the event of manoeuvres considered involuntary. As soon as the vehicle approaches the line defining the side of the lane, an acoustic signal and an indicator light warn the driver of the possible imminent risk. 4 sensors sound a warning when you are approaching obstacles behind you while you are reversing. They are integrated in the rear bumper and switch on automatically when you select reverse gear. The intermittent buzzer increases in frequency as you get nearer an obstacle, becoming a continuous beep when you should proceed no further. Installed in a plastic cover on the rear door spoiler, together with the third brake light. It sends the pictures of the area behind the vehicle to the 5” colour touchscreen on the dashboard radio. The system is activated when reverse gear is selected or when the rear doors are opened. The camera’s visual coverage is 3 m in width and 6 m in depth. Double parabolic, they incorporate side direction indicators and the Radio antenna upon request. They may be equipped with electric adjustment, demister function and electric folding as an option.